Love to Drink Jaljeera, here is reason to drink more, Health Benefits of Jaljeera. 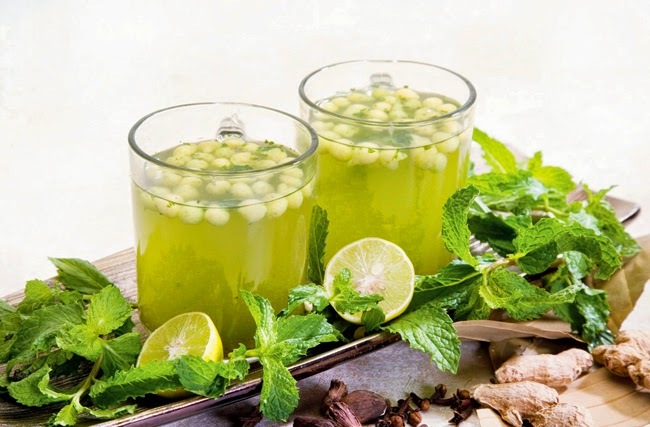 Jaljeera is a very peppery and delicious beverage which is drunk in the summer. Did you know that the drink which thirst and how much is beneficial to health. Jaljeera is useful to reduce weight, maintain stomach and shortage of water in the body. In the summer when the temperature rises you should drink jaljeera because it reduces body heat and keeps the digestive system intact. Reduce Weight: Drink it twice a day. It seems to reduce appetite and you would avoid eating too much food. Remove Acidity: If you have acidity problem then drink jaljeera slowly until the acidity decreases. Relive Constipation: It removes the problem of constipation. Drink it twice a day. Removes Gas: It remove gas. You should drink it slowly until the gas is not completely out of the stomach. Prevents from Nausea: It is good for pregnant women who tend to vomit in the morning. they should drink it in the morning. Lack of Water: It prevents the shortage of water in the body in summer. Stops Menstrual Pain: It prevents sharp pain during menstruation in girls. They get comfort by drinking several times a day.